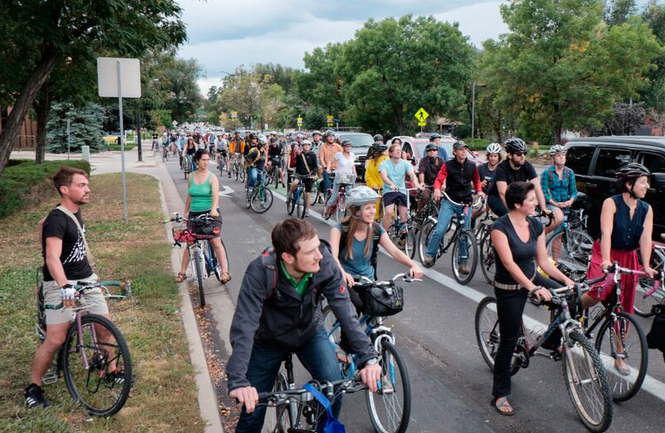 Cyclists in Boulder took to the streets yesterday to protest the City Council’s unanimous decision Tuesday night to undo a large chunk of the Folsom Street protected bike lane. A four-to-three-lane road diet and flexible posts to separate the bike lane from traffic had been installed on a 12- to 18-month trial basis, part of what the city called its “Living Labs” initiative, aimed at increasing the city’s bicycle mode share to 30 percent by 2035. Segments of the road diet and bike lane protection will now revert to the previous design after a scant couple of months. 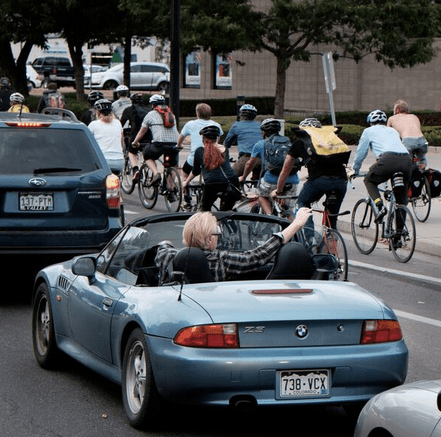 The removal marks only the fourth time an American city will remove a modern protected bike lane, according to People for Bikes. By most measures, the bike lane was working well. But City Council members caved to pressure from motorists who complained about slightly longer travel times. 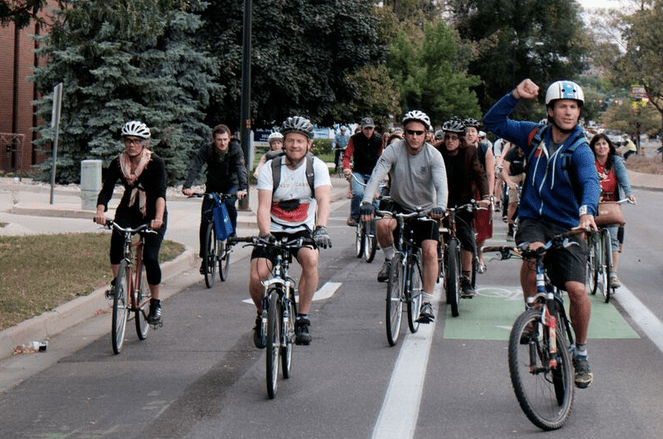 The ride was reminiscent of some of the 2012 protests in Toronto when former Mayor Rob Ford ordered the removal of the Jarvis Street bike lane.